Pintle hook mounts in 2 receivers. Shank is made from 1/4 inch wall tubing and has cushioning function built in. 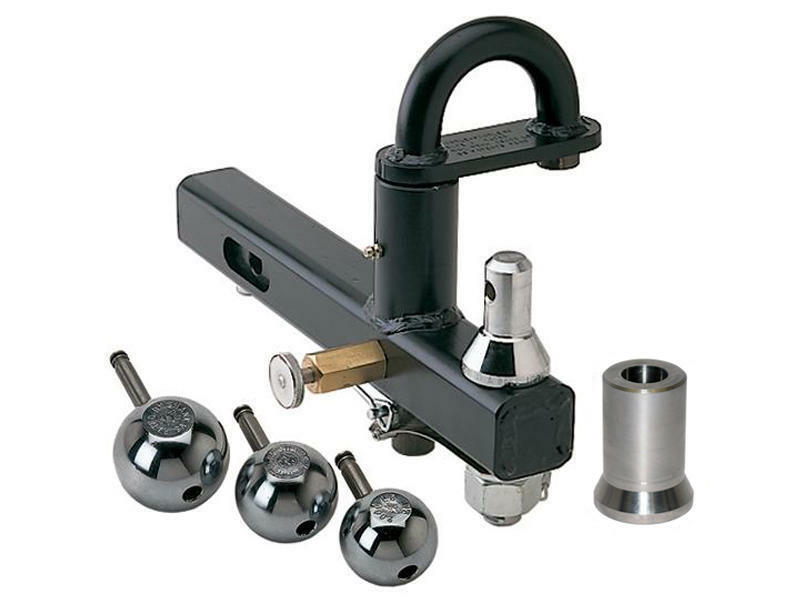 Unit includes 1-7/8, 2 and 2-5/16 inch interchangeable chrome balls, pin and clip. Ball ratings: 1-7/8 - 2,000 lbs., 2 and 2-5/16 - 10,000 lbs.